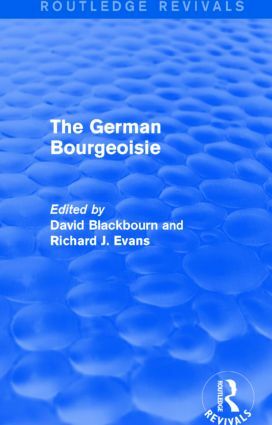 First published in 1991, this collection of original studies by British, German and American historians examines the whole range of modern German bourgeoisie groups, including professional, mercantile, industrial and financial bourgeoisie, and the bourgeois family. Drawing on original research, the book focuses on the historical evidence as counterpoint to the well-known literary accounts of the German bourgeoisie. It also discusses bourgeois values as manifested in the cult of local roots and in the widespread practice of duelling. Edited by two of the most respected scholars in the field, this important reissue will be of value to any students of modern German and European history.